This is a significant moment in your transition. Determination will open that door. If you just hold on a little longer, you won’t be sorry. So much has happened, but it took so long for it to come about that you’re probably tired. Not just tired of it all, but tired of the fight and standing your ground. You’ve come this far, don’t give up now! 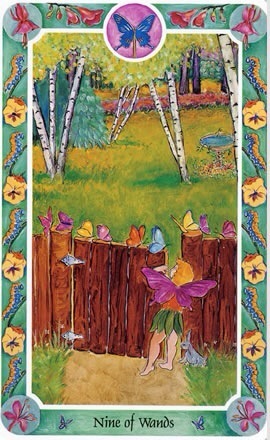 This entry was posted in Card of the Day, YouTube Videos and tagged 9 of Wands, Card of the Day, Tarot. Play nice! There’s always competition, but you don’t have to be part of it. Choose to take the high road. Get together with some friends for a game of Twister. So, now while Venus is retrograde, your interactions with others are highlighted. Is everyone getting along? Build one another up rather than tearing each other down. Relationships are at the forefront these days. People coming and going from your life. Some will want to pick a fight. My motto is “DO NOT ENGAGE”. It will save you a whole mess of trouble. This entry was posted in Card of the Day, YouTube Videos and tagged 5 of Wands, Card of the Day, Tarot. This entry was posted in YouTube Videos and tagged 5 of Wands, Card of the Day, Tarot, YouTube. Press pause today. Then hit rewind for a bit. It’s time to review what has brought you here. View the situation from a different angle to find a solution. Are you finally on the right path? Time to think outside the box. By now, you’re seeing that what you were thinking 3-6 months ago is simply not the case. Do you recognize where you are? Did you think it was possible things would turn out this way? Remember, there’s much more to come. This entry was posted in Card of the Day and tagged Card of the Day, Hanged Man, Tarot. 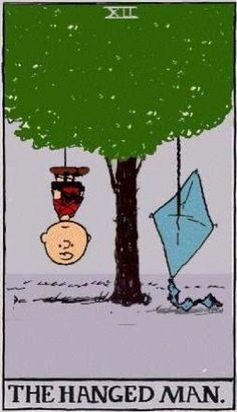 Today I chose the comic strip character, Charlie Brown for the Card of the Day. Life’s messes can become quite tangled. Press pause. Then hit rewind. This entry was posted in YouTube Videos and tagged Card of the Day, Hanged Man, Tarot, YouTube. There is no gray, there’s only black and white. It’s time to take the reins today! This entry was posted in YouTube Videos and tagged Card of the Day, Chariot, Tarot, YouTube. 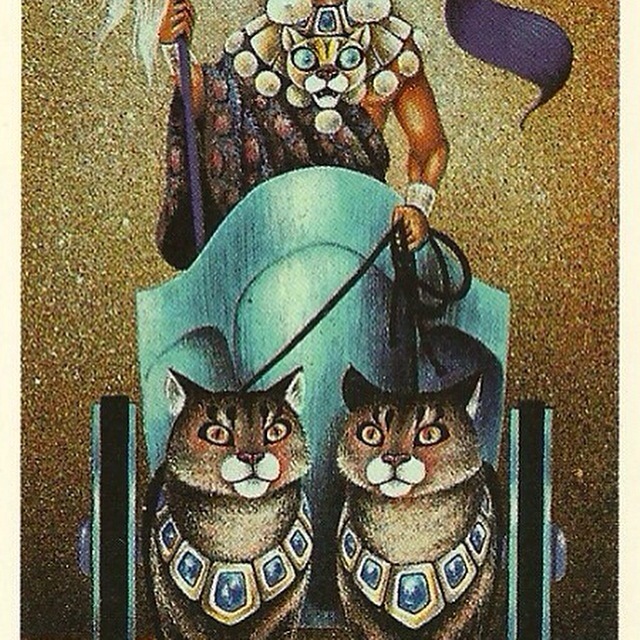 This entry was posted in YouTube Videos and tagged Card of the Day, Chariot, Tarot.